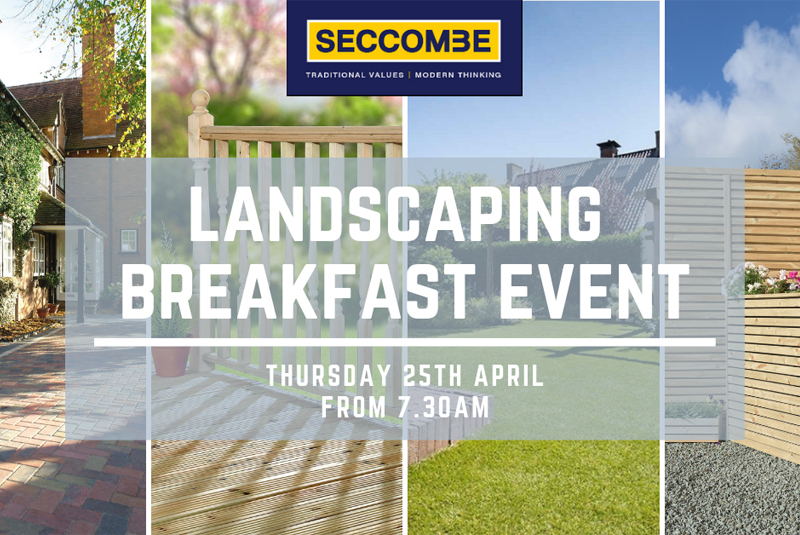 Seccombe has announced it will be holding a breakfast event which has been arranged to meet landscaping suppliers on Thursday 25 April. Supplier’s attending include Bradstone Paving, SCA Wood and Grange Fencing who will all be bringing a range of products to demonstrate and there will also be exclusive offers available on the day. The event will start at 7.30am until 11.30am and free cooked breakfasts will be available all morning, plus three free bags of cement for every visitor to the event. Visitors will be welcome to come and chat to Seccombe staff and the landscaping experts for hints, tips and demonstrations of products for projects of all sizes. Situated on a 2 acre site in Isleworth, Seccombe Builder’s Merchants is over 80 years old and is still family owned and run.